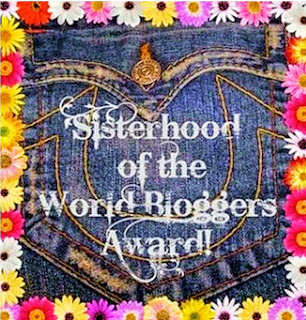 Awaiting Autumn nominated me for a Sisterhood of the World Bloggers award. Thank you so much for nominating me and following my TTC journey! I am still pretty new to the blogging world (and don’t post near enough) but am thankful for the ladies I’ve been able to interact with because of this blog and my YouTube channel. 1. Link to the person who nominated you. 2. Add the award logo. 3. Answer the questions your nominator has asked. 5. Ask your nominees 10 questions. This is a really hard one for me since there are a couple of different decades I would have loved to live in. Anywhere from the 1950s to the 1970s would have been perfect for me though. Those three particular decades would be fitting with my personality and interests. I have been told on different occasions that I am an old soul and I always wonder what my life would have been like if I grew up in a different time. I guess if I have to pick just ONE then I would say the 1950s though. Even though I love technology, I feel like it was just a much simpler and happier time. Cats. All day everyday. Crazy cat lady fo life!! It would depend on the day. If money was no object, then ideally I would love to be able to just travel all over the world. One day we may be waking up to go to the beach and another day we would be in Japan visiting the Tokyo Imperial Palace. WARNING: NOT a morning person! My first job was working at the movie theater. I liked the fact that I could get in free and could have free popcorn while working (I would eat it with nacho cheese on top and jalepenos). The people I worked with were awesome too. I disliked the fact that I would smell like stale popcorn after working my shift. Gross! 7. Would you rather take 1 shot in the bum daily or 2 vaginal suppositories 3x daily? Neither sounds fun! Since I absolutely hate needles I would go with the vaginal suppositories though. Having a baby is the number one thing I want in life…not sure if I would say it is on my bucket list per se though. If that doesn’t count then I would say going to Japan is my number one. Hot. I absolutely despise the cold. Halloween all the way! I love the decorations, dressing up, horror flicks, and all of the candy that is horrible for me. Bridget Marquardt is my Halloween spirit animal (if you ever watched The Girls Next Door then you’ll know who I’m talking about). I also love Christmas too, which is why The Nightmare Before Christmas is one of my favorite movies…my two favorite holidays in one! 1. What do you miss most about your childhood? 3. Who is your favorite character in a novel or film and why do you like them so much? 4. If you could visit any place in the world, where would it be and why? 5. If you could have one superpower, what would it be? 6. What was the last thing that happened to make you laugh so hard you cried? 7. What was the last book that you read? 8. Do you have any hidden talents? If so, what are they? 9. If you could have any fictional animal for a pet, who would it be? 10. What is your favorite season?